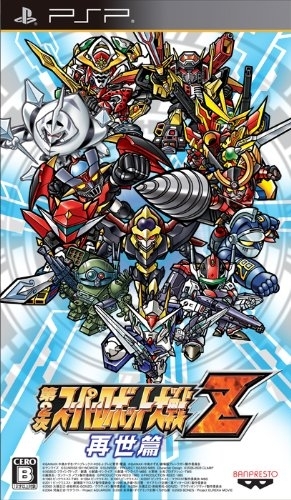 Dai-2-Ji Super Robot Taisen Z Saisei-hen (Super Robot Wars Z2: Saisei-hen), is an entry in Namco Bandai Games Super Robot Wars series, and the immediate sequel to Super Robot Wars Z2: Hakai-hen. Despite its billing as a two-part game, Saisei-hen is entirely independent of Hakai-hen. Players will receive a starting bonus in Saisei-hen based on how many times they have completed Hakai-hen, along with an extra bonus for playing all of Hakai-hen's scenarios, but unlocked machines and pilots will not transfer.